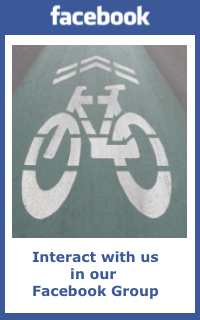 BikeAAA hosts, partners, supports, promotes and participates in events including bike safety, bike commuting, group/club rides, charity rides, biking to community events and advocacy at the local, county and state level. For a calendar of upcoming events and meetings, please check our online Calendar. February 19 Maryland Bike Symposium – Join fellow cyclists for updates on Maryland cycling, new bike legislation and meetings with legislators. In Annapolis at the Miller Senate Building. For more details click here. May 15 – Ride of Silence. The annual Anne Arundel County Ride of Silence ride commemorating killed and injured cyclists, held by Bicycle Advocates for Annapolis and Anne Arundel County (BikeAAA), typically starts at Germantown Elementary School, 200 Windell Ave, Annapolis and will consist of members of all major bicycling clubs in the area. The escorted ride will follow a predetermined route through Annapolis before finishing at Germantown Elementary School. More HERE. May 17 Bike to Work Day. This national event has numerous local meetup points with the main event at Market Place, Annapolis. For questions or to volunteer, please email bike2work@bikeaaa.org. For more information and free registration that will get you a T shirt, please visit 2019 Bike2Work Day. June – Truxton Youth Tri. Great event for kids and adult volunteers needed along the bike course near Truxton Park Annapolis. More details HERE. June 24 – 28 at Old Mill H.S. – iCan Bike Camp for Kids with Special Needs. Volunteers and kids wanted! Help a child with special needs learn the joy of riding a two wheel bike! Be prepared for plenty of walking, fast walking and light jogging! Sign up for a 90 minute session each day Monday through Friday and help with the amazing daily progress of these wonderful kids! BikeAAA is proud to support this special program hosted by Rise for Autism! Watch for details about dates and times in late June. June – Race Across America Finish in Annapolis. This world-class endurance event has teams and solo racers 24 hours for 3,000 miles from Oceanside, CA to Annapolis! Volunteers needed to help at the Race Across America Finish! Click 2018 Annapolis Finish Line Volunteers Flyer for last year’s details and watch for a call for finish line volunteers. For more about the event and to track racers and predicted finish times, click www.raceacrossamerica.org. June 22 – Komen Promise Ride – Rides of varying distances in beautiful south Anne Arundel County. For more details, click HERE. Summer and all-year round Kids Bike Camps & Lessons from PedalPowerKids. Learn more about learn-to-ride, adventure camps, safety programs and more at www.pedalpowerkids.com. August 10 – Kenzie Rose Youth Tri at Kinder Farm Park. An awesome kids event for a very important cause. For more details click HERE. Our signature annual ride is for riders of all ages and abilities with 15/30 mile all-paved trail rides and beautiful scenic tours with historic and water views of 65 and 100 miles plus a free Children’s Bike Rodeo. Riders with special needs and their accompanying rider, register at 2 for 1. For details, click LIFELINE 100. November 15 7pm – BikeAAA Annual Meeting and Lifeline100 Check Presentations. Join fellow cyclists for food, beverages and stories and get an update on county progress and plans! Check for location in the fall. For bike club rides, please click Bike Clubs.